The Chicago Gospel Music Festival lineup will feature the Tri-City Singers reunion, The Walls Group, Canton Spirituals, and Israel Houghton & New Breed. 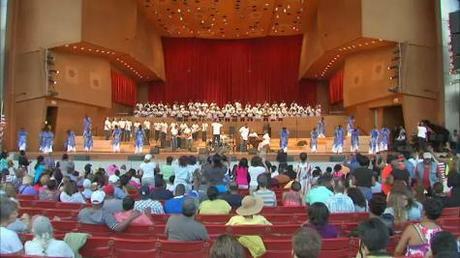 Celebrating the genre’s deep Chicago roots with traditional choirs and contemporary urban gospel music in the city where the genre was born, the 33rd Chicago Gospel Music Festival features local and national artists on June 1 and 2 at the Chicago Cultural Center and Millennium Park. This year marks the 25th anniversary of the group, and founder Donald Lawrence has gotten them back together to record a new album, with the first single “Goshen432HZ” being released soon. Gospel music broke through the barrier of Chicago’s “silk stocking” churches in 1931 when Dr. J. H. L. Smith of Birmingham, Alabama, became Pastor of Ebenezer Baptist Church. Smith asked Theodore R. Frye to assemble a group to sing for the congregation the sacred songs he enjoyed in Birmingham. Frye recruited pianist-songwriter Thomas A. Dorsey to assist him. 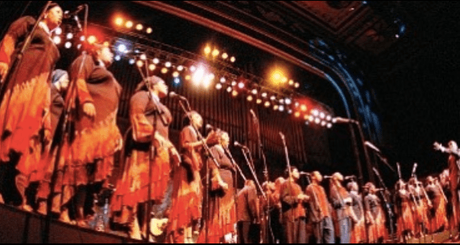 After nearly a decade of disappointment, Dorsey was finally experiencing some success introducing his jazz-propelled sacred songs in the bigger churches. The two organized newly-settled southern migrants into the first modern gospel chorus. The chorus debuted at Ebenezer in January 1932 to great acclaim, and a week later inspired Pilgrim Baptist Church to follow suit. Soon every African American church in Chicago wanted its own gospel chorus.